Community RoadSafe Mildura presents its annual Roadcraft motorbike group safety seminar and advanced skills training weekend. Providing you with facts, practical skills and knowledge to stay safe. Roadcraft Group Safety Seminar - Saturday 18 May 6pm – 9pm. Free safety and skills forum with presentations by HART (Honda Australia Rider Training), Victoria Police and Rural Ambulance Victoria*. Suitable for road and dirt bike riders of all ages. Interactive workshop. Light supper provided. *Vicpol or Ambulance Victoria availability dependent on emergency calls on the night. 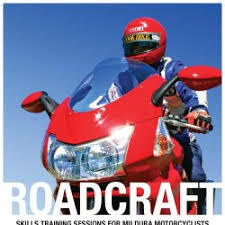 Roadcraft Motorcycle Skills Training - Sunday 19 May 8.30am – 3.30pm. Practical bike control exercises and techniques. Pre-requisite - attendance on the Sat evening seminar. All bikes, all levels (Min Learners permit required) Bring your own bike and gear. All practical exercises with qualified HART instructors.